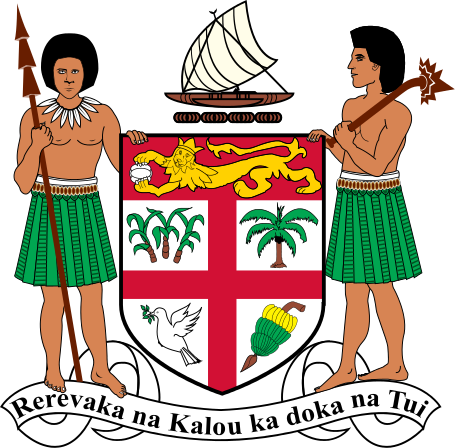 The Fiji National Coat of Arms consists of the images of two Fijian warriors on either side of a shield and the motto “Rerevaka na Kalou ka Doka na Tui” below the shield. These words mean “Fear God and Honor the queen” The shield from the coat of arms has the image of a heraldic lion holding a cocoa pod across the top, sugarcane, a coconut palm and bunch of bananas are represented in three of the shields sections. The fourth contains the reproduction of a dove of peace, the main feature of the Cakobau Government’s flag before cession. Fiji’s flag flew for the first time on Independence day, October 10, 1970. 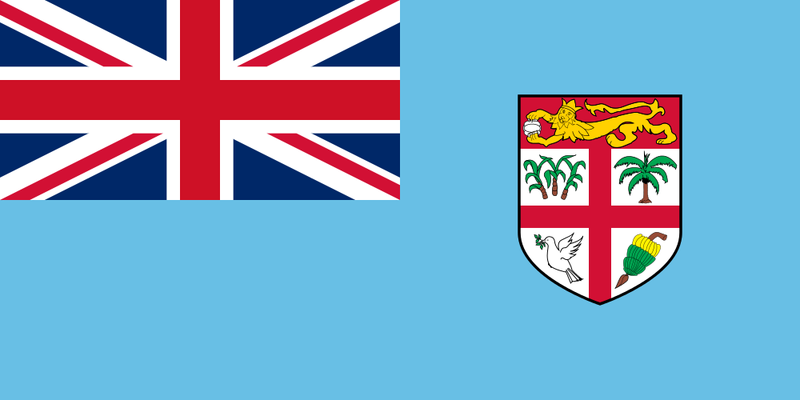 It includes the red, white and blue Union flag of Britain in the top left hand corner and the shield from the Fiji coat of Arms on a light blue background in the fly. The design for the national flag was selected as the result of a competition won jointly by Mr Robi Wilcock, and Mrs Murray MacKenzie.